And just like that, we're down to the last few hours of 2018. 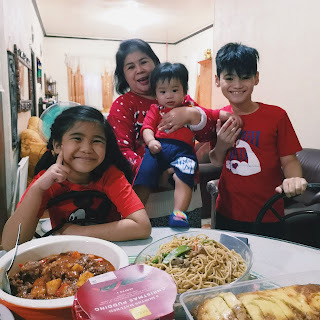 It seems like it was only yesterday that I was writing about the ups and down of 2017, and now here I am, wrapping up the past 365 days with yet another year-end post. If I were to rate 2018, I'd say it was a 7 out of 10. - Ten years of marriage, and finally being able to celebrate our anniversary together. Sun-date with my boys. (Seoul, June 2018). - The opportunity to travel, and being able to spend time with family and friends abroad. Coffee with Unni! (Seoul, June 2018). - My family abroad coming home for a vacation. Coffee with sibs and cousins. (Laguna, August 2018). Mum is home for the holidays! 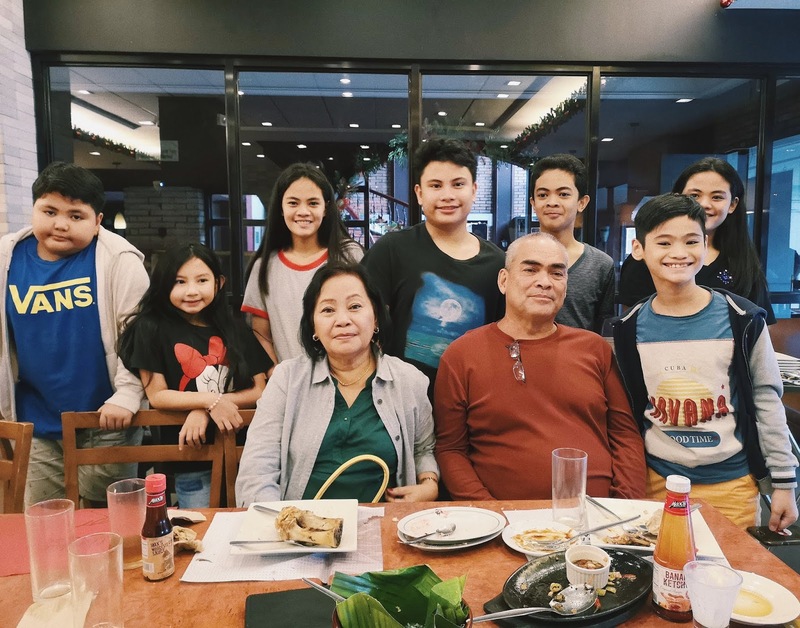 All the Ocampo grandkids, complete! 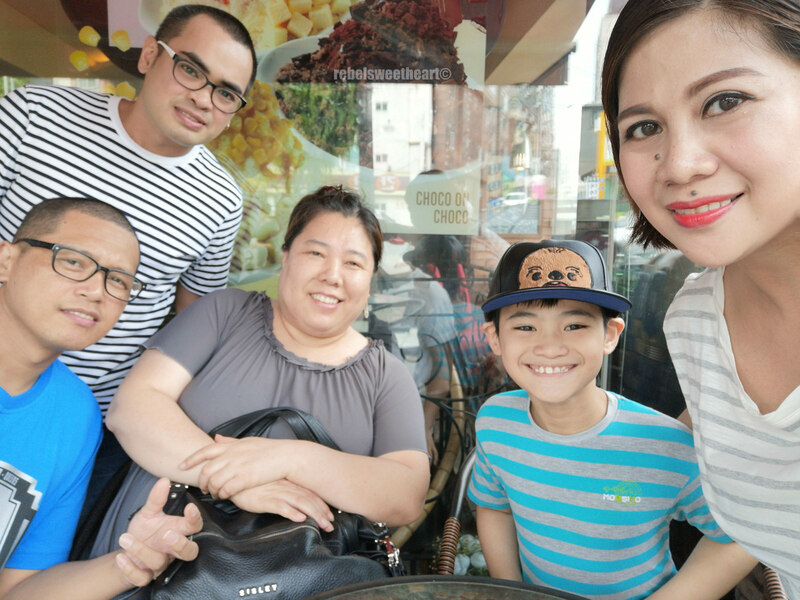 - Meeting new friends and reuniting with the old. 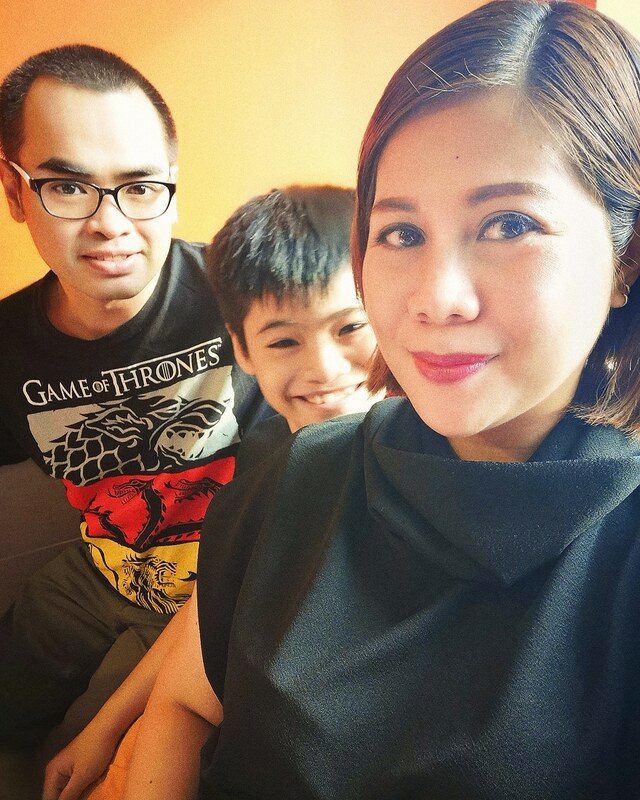 With Ela and Maan. (Seoul, June 2018). - Friends that inspire you to dream big and work harder. 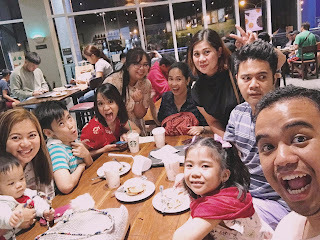 My forever friends, my UPRHS barkada! 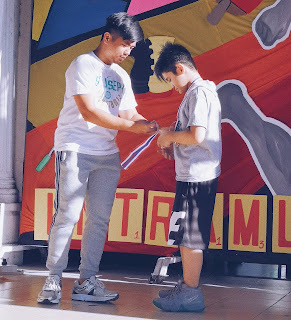 - My son's achievements and his continued pursuit for excellence. 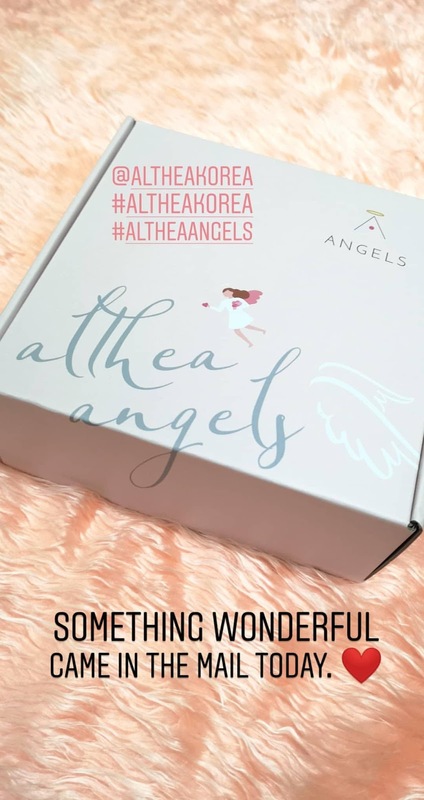 - Being part of Althea's Beauty Ambassador Community, and all the K-beauty awesomeness that comes with it. 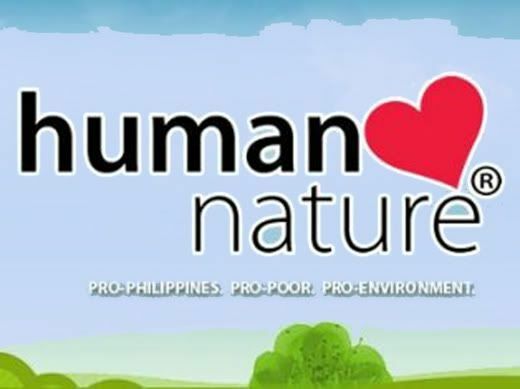 - My readers and followers and their unwavering support for this blog! Thank you for the visits, the comments, and all the kind words that you've sent me this year and in the previous years! 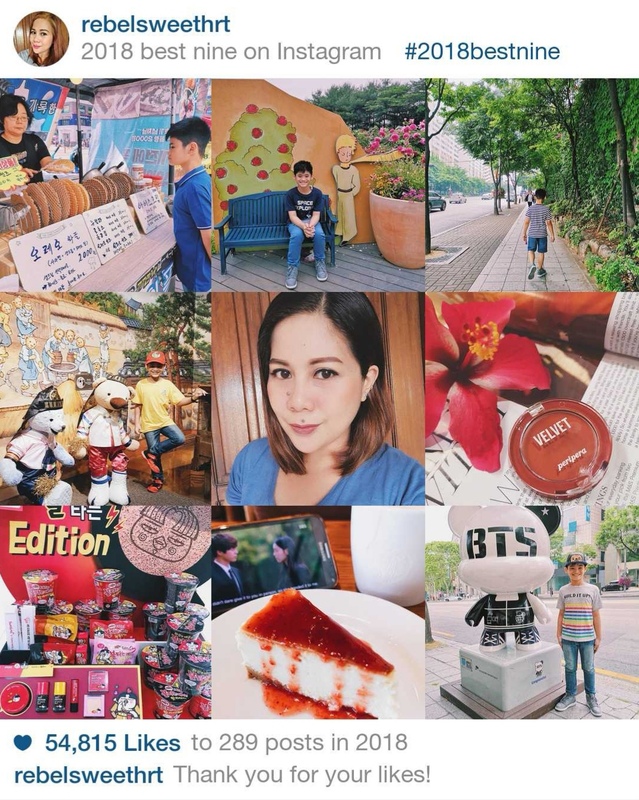 Seoul Searching | Gwacheon National Science Museum. I had originally planned on finishing all of my Spring/Summer 2018 travel posts while we are on a school break. Unfortunately, things didn't go as scheduled. Yue and I caught the flu as soon as his school break began, and we spent a good part of last week cooped up at home, coughing, sneezing, and running a fever. Thankfully, we were both feeling better by Christmas Eve, and now I'm trying to catch up on my backlog before the year ends. And with that, I'm squeezing in one last Seoul Searching post for 2018 - our trip to the Gwacheon National Science Museum, which is actually a continuation of our Seoul Grand Park Rose Festival experience. 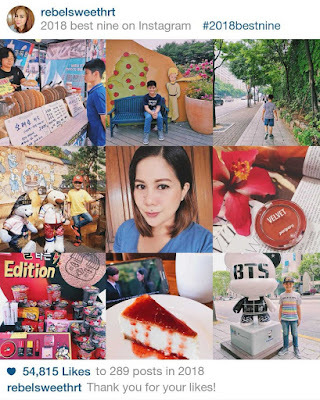 The museum is located adjacent to the Seoul Grand Park, and we were able to visit both places in one afternoon. Making our way to the Gwacheon National Science Museum. More of our science adventure after the jump! Althea x Get It Beauty Real Fresh Skin Detoxer is EXID Jeonghwa's 'Sohwakhaeng'. Not too long ago, the concept of 'sohwakhaeng' became a trending topic in Korea, particularly in social media. 'Sohwakhaeng' is a Hangeul phrase that means 'small but certain happiness', and for some Koreans this could be an extra shot of espresso in their morning coffee, a bottle of soju after a long day at the office, or discovering a new skincare product that really works. I can totally relate with the latter, and even Kpop-idol Jeonghwa of EXID and Korean beauty influencer Minsco feel the same way. 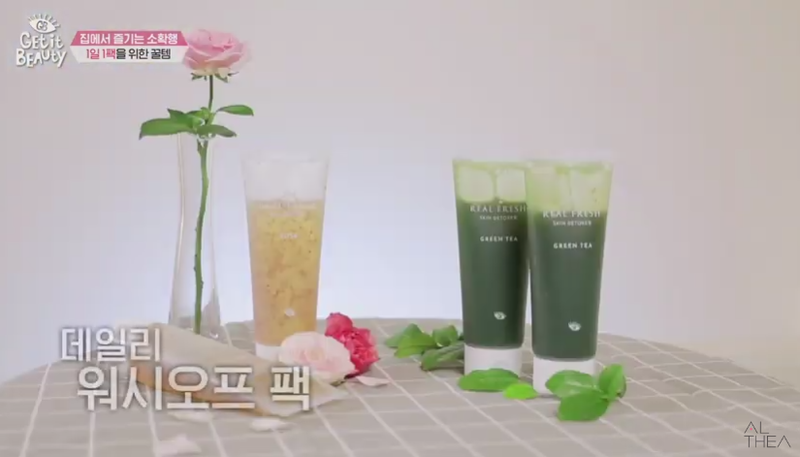 In episode 29 of Get It Beauty 2018, Jeonghwa and Minsco asked viewers about their sohwakhaeng, and one of the answers that stood out was 'getting a mask pack everyday'. 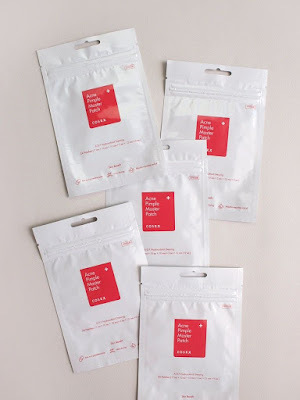 A mask pack everyday is a skincare junkie's sohwakhaeng. Jeonghwa agrees that a mask pack can make a huge difference to the skin, and Minsco whips out 'some amazing products' for them to try. 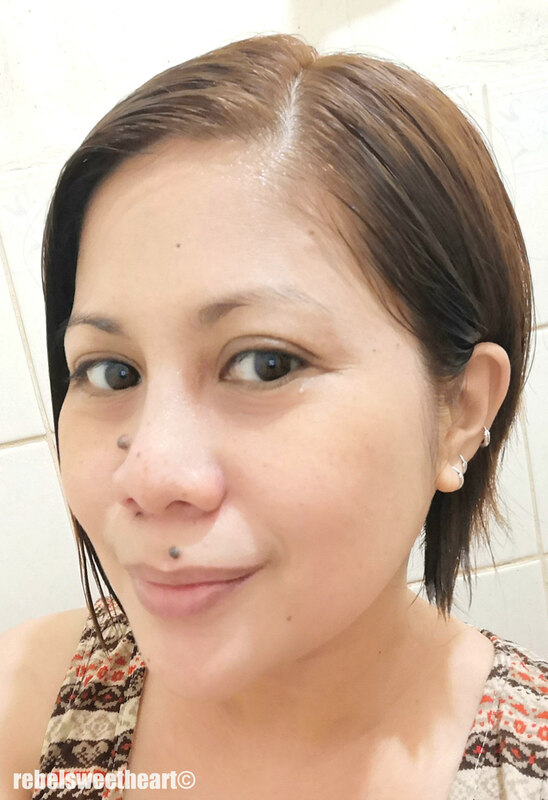 Turns out, these 'amazing products' are skincare items that I have tried and actually use! They're the Real Fresh Skin Detoxer, a 2-in-1 cleanser pack that deep cleanses the skin while boosting it with an array of nutrients. 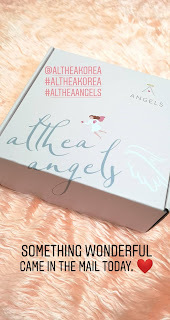 This skincare set is a collaborative product between K-beauty shopping website Althea and K-beauty talk show Get It Beauty, and the first (two) product/s that I have tried as an Althea Angel. Althea x Get it Beauty Real Fresh Skin Detoxer. 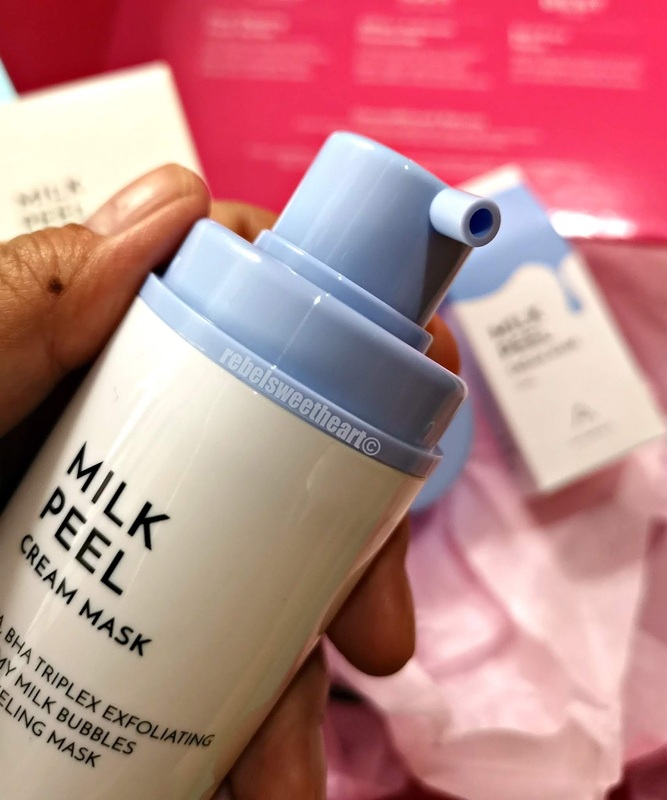 I've raved about these products in this blog post the same way Jeonghwa raved about them in the video. I find it really cool that a popular idol like her uses the same product that I do, and that she finds joy in something as simple as a mask pack. 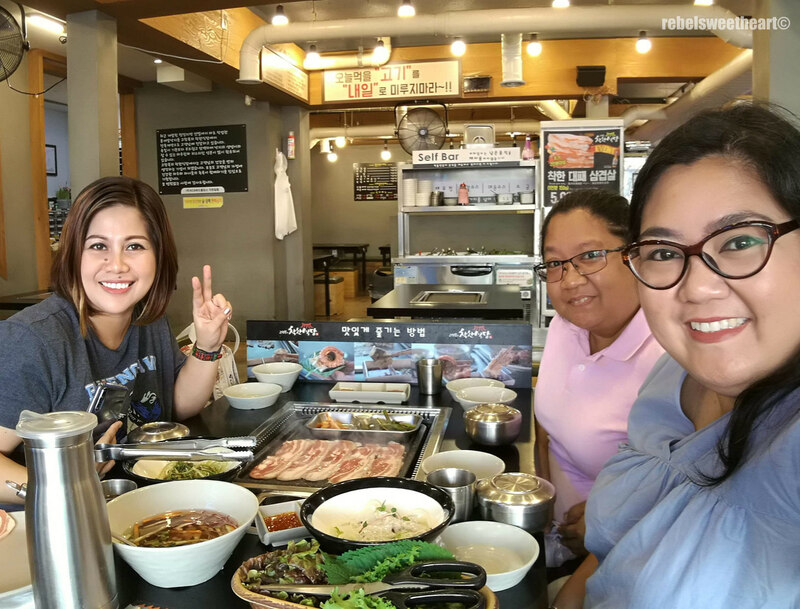 Wanna give Jeonghwa's sohwakhaeng a try? Then head over to the Althea website and purchase the Real Fresh Skin Detoxer Set. They're currently sold at a discounted price of Php 990 and for a limited time, ships for free! How about you, what's your sohwakhaeng? Which Pets Make the Best Emotional Support Animals? The use of emotional support animals has become more and more prevalent in the last decade or so, and often controversially so. Stories of pigs and peacocks that people have designated their emotional support animal make great headlines and sell stories. But which pets actually make the best support animals? It comes down which type of animal provides therapeutic value to a person, which type of animal is practical for that person to keep, and often the type of animal recognized as the most appropriate. 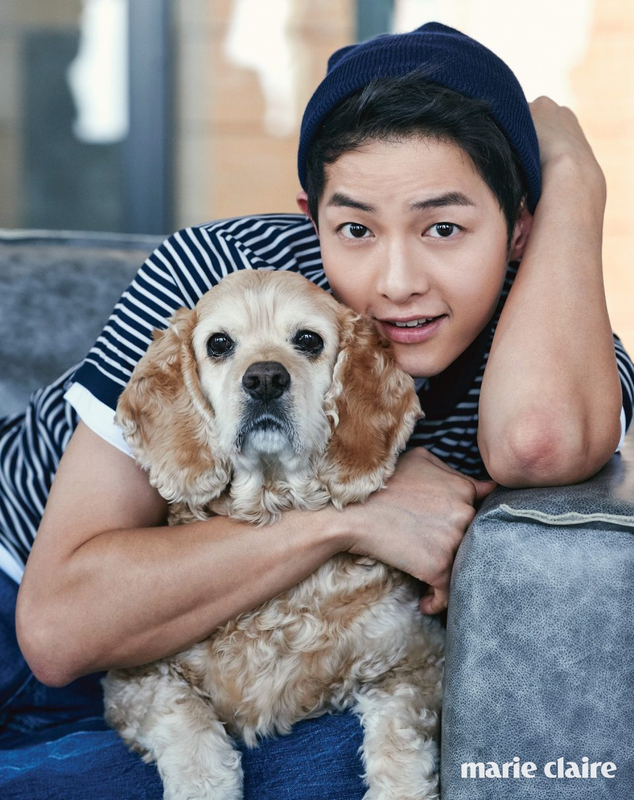 Song Joong Ki for Marie Claire, 2016. An emotional support animal is one that is of therapeutic value and companionship to some with one of many different mental health conditions. So how can you determine the best ESA for a person to get a therapeutic effect? The presence of the pet should help with symptoms such as anxiety, depression, and stress. For example, the physical act of caressing and cuddling a pet can help calm a person and lift their mood. The caring involved in looking after a pets food and exercise needs can help a person establish regular routines. The care a particular pet needs can also help people focus on, and understand, the needs of another. For someone with a mental health condition, feelings of isolation and aloneness can accompany the illness. An emotional support animal can provide the unconditional love the person may feel is lacking in their life. Song Hye Kyo and her Bichon Frise, Pink. Emotional support animals live with a person. This means there are some very practical considerations in which type of animals make the best ESAs. The accommodation needs to be appropriate for the type of animal. An ESA needs to be kept safe and sheltered and in an environment that gives them a good quality of life. For example, a large dog is likely to need to share a large house and yard. A small dog or cat may be perfect for an inner city apartment dweller. The costs of looking after different types of animals vary. Someone’s choice of emotional support animal should be one they can afford to care for in terms of food, healthcare, and accessories. A size comparison is relevant here too, big dogs and cats eat a lot more than smaller ones! - We know cats and dogs! People have kept cats and dogs as domestic pets for millennia. Most people already know if they personally prefer one species over another and the benefits and comfort a dog or cat can bring to their lives. If you haven’t had a pet in your life before, chances are you have an idea of the basic needs of a dog or cat and there is a ton of information available and vet professionals to give advice as and when needed. - We understand dog houses and where cats like to curl! Dogs and cats are able to live alongside us and beside us in our homes. For anyone in rental housing, there are also protections under the Fair Housing Act for people with emotional support animals. Under the FHA landlords have to make “reasonable accommodations” for someone with an ESA, even if they have a no-pets policy. Property managers are more likely to look favorably on a recognized domestic pet such as a cat or dog. - Sometimes emotional support animals need to fly! If you need your emotional support animal with you on a flight or at your destination, your right to fly with an emotional support animal is covered under the Air Carrier Access Act. However, most airlines have policies that limit species. Those that do accept animals are more accept dogs, and sometimes cats. They may also restrict certain breeds of cats and dogs for the health and safety of the pets and other passengers. For someone wanting a pet that involves a lot of interaction, an emotional support dog may be the one for them. Depending on breed, dogs regular training, grooming and exercising, along with taking care of basic needs for food and water. Dogs are pack animals, and people soon become part of their pack. They like to do activities with their people, socialize with their people, and just generally hang out. Cats as emotional support animals can be ideal for some that benefits from the unconditional love and companionship offered by feline company. Although cats are more stay at home kind of pets, their devotion and dedication to the people they live with can bring much joy into a home. Rescue shelters can be a good first port of call when you are thinking about adopting a pet. Animals end up in shelters for all kinds of reasons, and rehoming an animal is a rewarding experience. Cats and dogs from rescue organizations have usually been assessed in terms of temperament so you will have an idea if you are the right match. Alternatively, ask people you know if they know of anyone looking to re-home a pet. Or check with a local veterinary clinic if they know of pets, puppies, and kittens needing new homes. For specific breeds of dogs look for reputable breeders registered with organizations such as American Kennel Club and the American Cat Fanciers Association. If you have an existing mental health condition and a pet that you feel alleviates your symptoms, take a pre-screening to establish whether you may qualify for an emotional support animal. A licensed health professional will then discuss with you whether this pet is appropriate as an emotional support animal for you. Bummed that I won't be able to go on a shopping spree, I cheered myself up by writing my Christmas wish list. If you're a friend, a relative, or simply a kind soul who wants to send me something for the holidays *wink wink*, this list will give you an idea of what would make my Christmas merrier. Everything on this list is related to K-beauty and can easily be found on the Althea website - no need to go to the mall and brave the Christmas crowd, lol! Hera x Blindness Black Cushion, Php 2620. Hera x Blindness Black Cushion. I'm a self-confessed cushion addict so it's only natural that the Black Cushion from Hera tops my list. 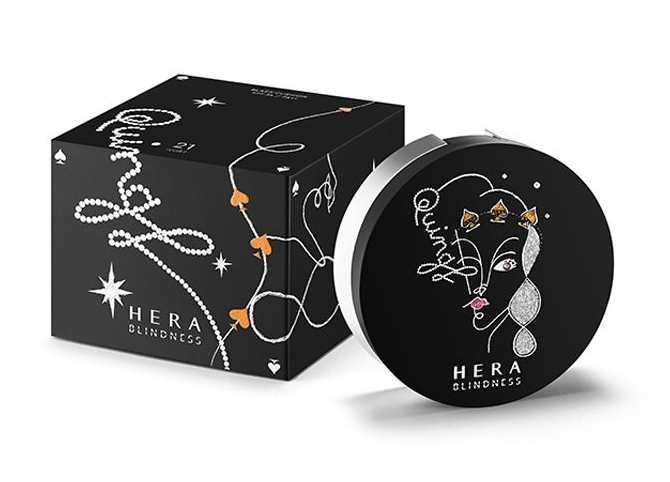 This limited edition cushion is part of the Hera x Blindness Collection - Hera's holiday offering for 2018, and a collaboration with the Korean fashion brand 'Blindness'. 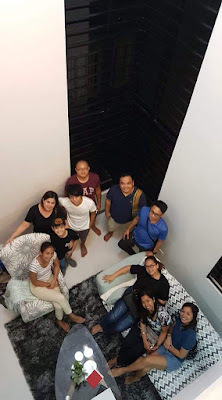 Hera's Black Cushion is known for its lightweight texture, long wearability, and non-sticky, semi-matte finish - things that I usually look for in a cushion. Etude House Tiny Twinkle Dear My Blooming Lips-Talk, Php 1430. Etude House Tiny Twinkle Dear My Blooming Lips-Talk Velvet Mini Kit. 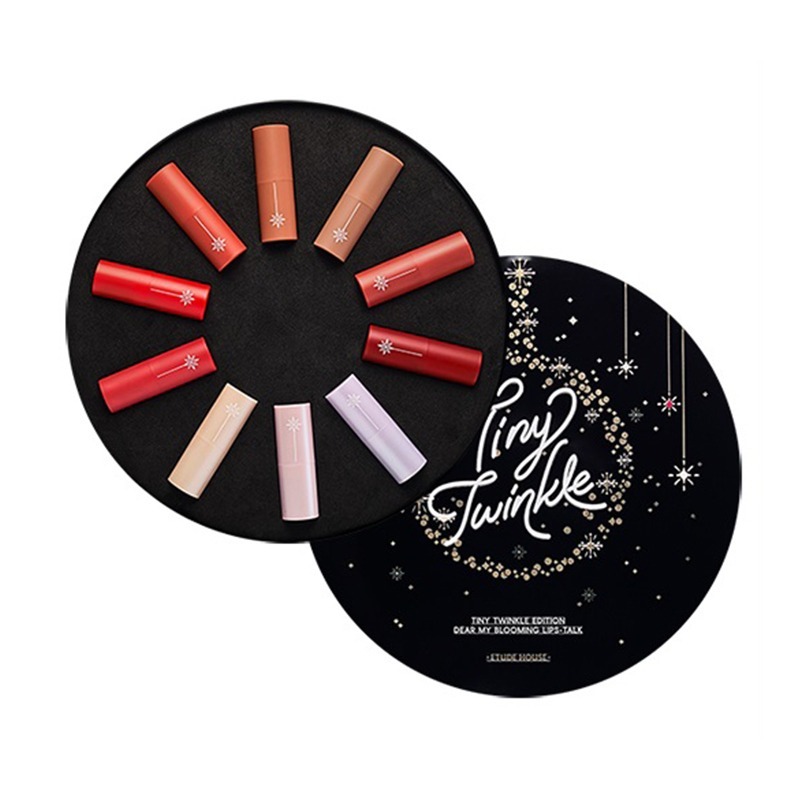 Another limited edition item that piqued my interest is the Tiny Twinkle Dear My Blooming Lips-Talk Velvet Mini Kit from Etude House. Its name is so long, I know. Haha! 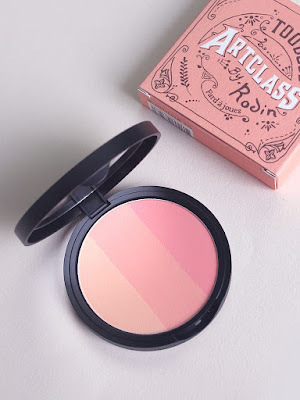 Too Cool for School Art Class by Rodin Blusher, Php 680. Too Cool for School Art Class by Rodin Blusher. Ah yes, another blush to feed my cheek color obsession. This product caught my eye because it contains three shades in one pan. The shades can be used individually, or can be blended together to give your cheeks an even more gorgeous and slightly more intense flush of color. 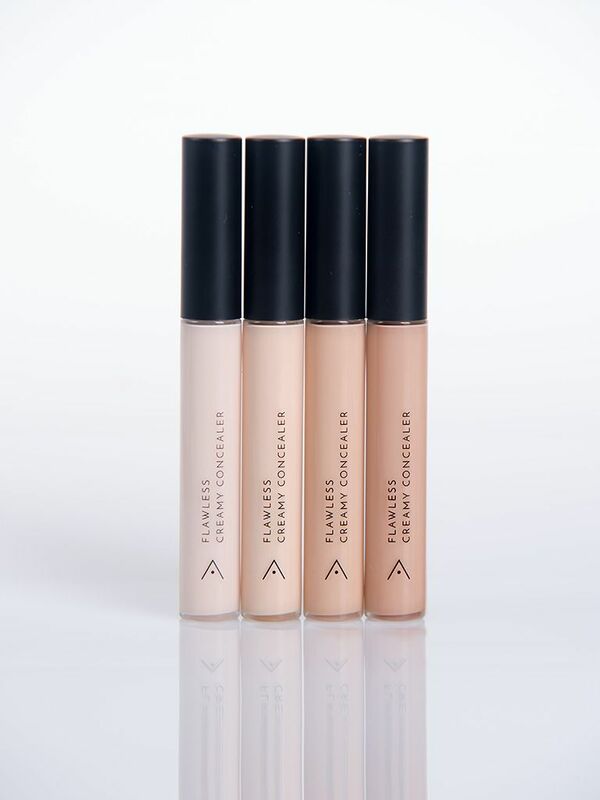 Althea Flawless Creamy Concealer, Php 200. Althea's very own beauty brand is growing fast, and I'm so glad to see a new makeup item on their list. 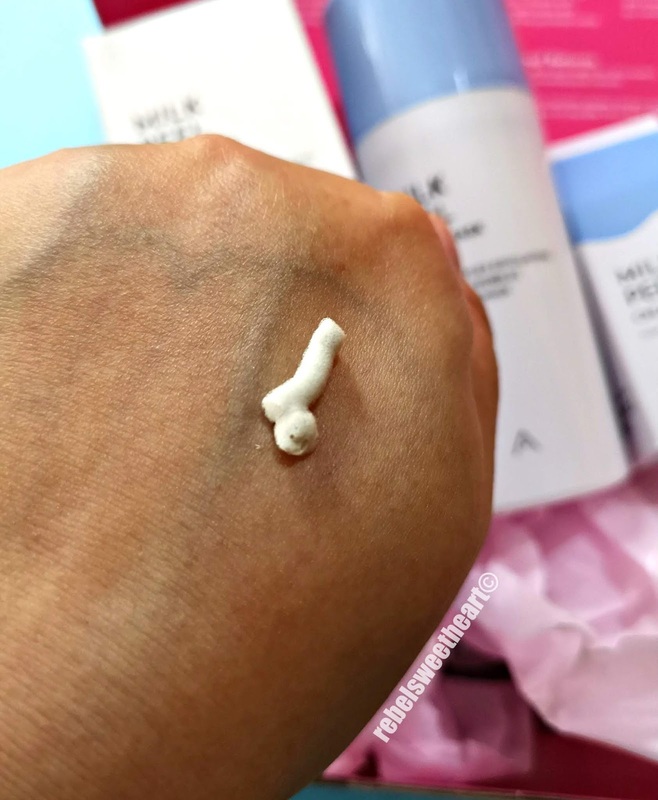 This concealer couldn't have come at a more perfect time - I'm so ready to give up on my current stick concealer from another K-beauty brand! I swear, that concealer will go straight to the dumpster as soon as I get my hands on the Flawless Creamy Concealer from Althea! Now this is one product that I really, really want to get my hands on. 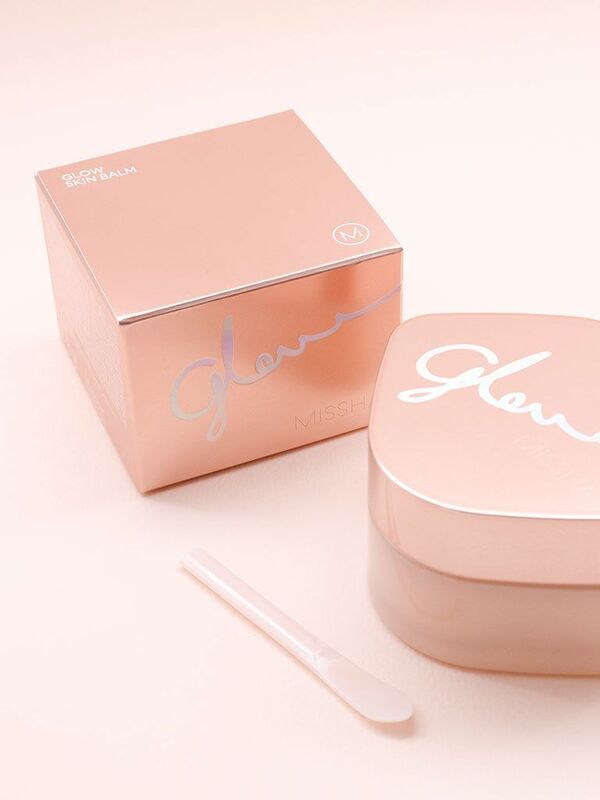 A multi-purpose product, the Missha Glow Skin Balm works as a moisturizer, morning pack, primer, and glow cream all-in-one for gleaming, healthy-looking skin. It also promises '30 hours of moisture maintenance' which is exactly what I need during this moisture-zapping, skin-drying time of the year. Laneige Water Bank Hydro Essence, Php 1730. 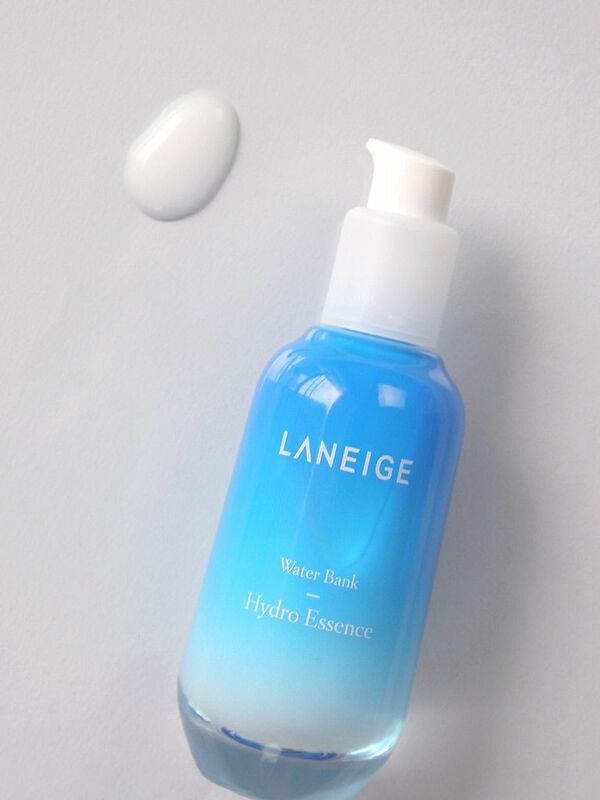 Laneige Water Bank Hydro Essence. I'm a huge fan of Laneige's Water Bank skincare line, so I was very much thrilled to receive a sample of this product when I visited the Laneige Flagship Store in Edae last June. As with the other Water Bank products, the Hydro Essence promises deep moisture and clear, radiant skin. I love the thin, watery consistency of this essence, and how it's easily absorbed by the skin without the sticky, greasy feel. You get that 'chok chok' effect (super hydrated, dewy) on your skin even after the first use, and that's what I love the most about this product. And with that, I'm ready to go full size! Primera Miracle Seed Essence, Php 2100. 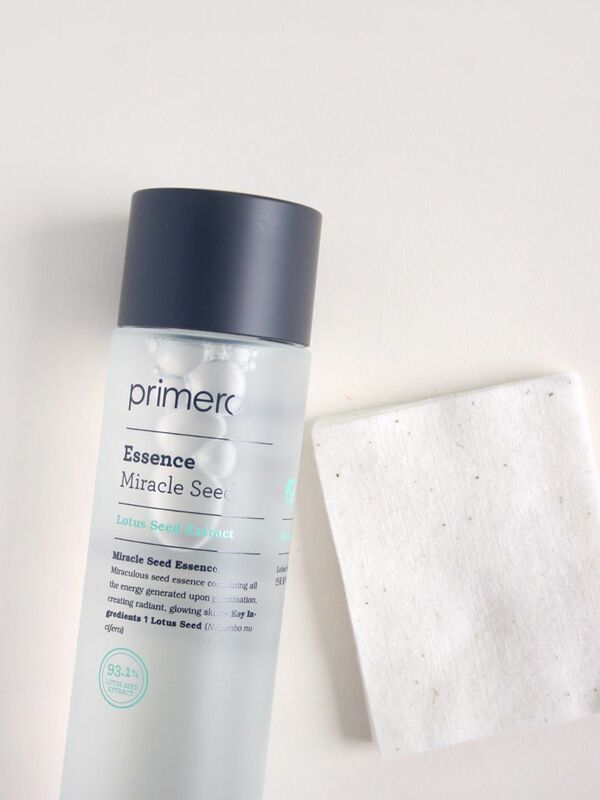 Made with lotus seed extracts, niacinamide, hyaluronic acid, and adenosine, the Miracle Seed Essence not only smoothens and moisturizes the skin, but also evens out the skin tone and helps reduce the appearance of fine lines and wrinkles. A miracle product, indeed. Son & Park Beauty Water Set, Php 1160. Son & Park Beauty Water Set. 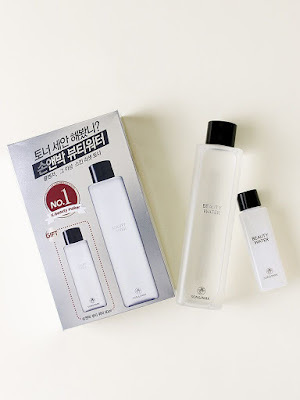 The so-called Beauty Water from Son & Park was all the rage last year - K-beauty enthusiasts raved about it, skincare junkies loved it, K-pop artists use it. I'm a bit late for the craze but I thought I'd try it anyway, because I'm all for multi-function skincare products that actually work. Banila Co. White Wedding Dream Cream, Php 1340. 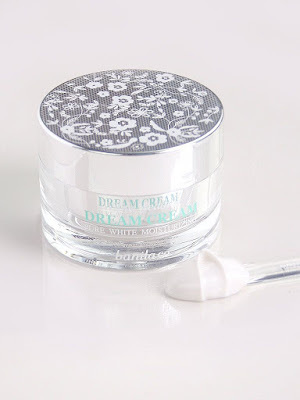 Banila Co. White Wedding Dream Cream. The name sounds dreamy AND promising, doesn't it? 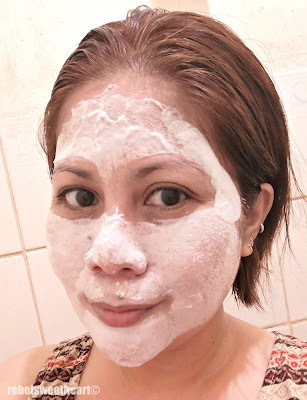 The White Wedding Dream Cream from Banila Co. is an instant skin whitening cream, formulated with a flower-complex and an array of vitamins to nourish and hydrate the skin and even out the skin tone. It also contains blooming powder (sounds lovely, whatever that is) to brighten up the skin and give it a healthy, radiant glow. Having read lots of positive feedback about this product made me curious enough to actually want to try it! I just hope this will work wonders for my skin the way it did for others! COSRx Acne Pimple Master Patch, Php 190. I have been blessed with clear, acne-free skin, and I thank my parents A LOT for that. Of course, I still get the occasional zit or two, which usually pops up whenever I'm about to have my period. Whenever that happens, I always count on the ever-reliable COSRx Acne Pimple Master Patch to cover my zit and get rid of it in a jiffy. 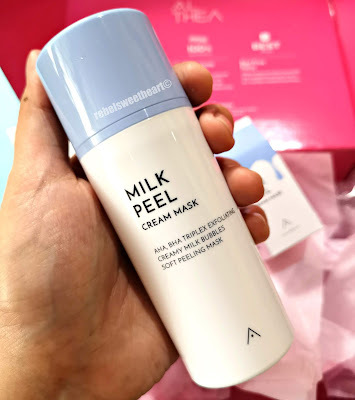 This is one of several K-beauty products that I highly recommend and absolutely can't live without. I still have two unopened packs of this pimple patch, but I wouldn't mind receiving a few more and adding them to my stash.